Silver Steampunk Respirator Masquerade Mask - Sculpted Flexible Plastic, Silk Tie Ribbons, Original Design - Dimensions 9”x6 1/2”x3 1/2” | BUDK.com - Knives & Swords At The Lowest Prices! Carefully crafted by professional artists, from sketch to mold to sculpting and producing, the Silver Steampunk Respirator Masquerade Mask is a masterpiece. 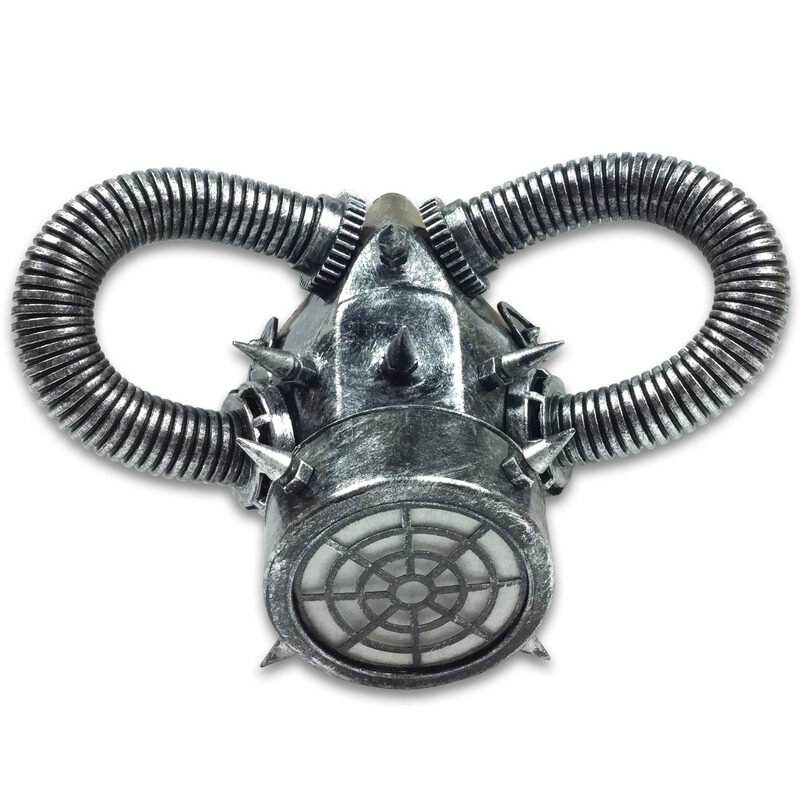 The respirator-style mask is intricately crafted of flexible plastic materials in sculpted steampunk detail and it has a faux aged, silver metallic finish. Featuring corrugated tubes and tree spikes, it is perfect for your steampunk attire any time of the year but it’s, especially, great for Halloween, masquerade parties, conventions, festivals and raves. A black elastic strap assures a comfortable, custom fit for most adults and teens. When you’re not wearing it, it’s also a fun prop you can hang on the wall! Great mask. Breathable, comfortable, and looks great with goggles. Great deal , breathable, pretty realistic. Big hit when combined with black balaclava!